Trash bins, one belonging to Allied Waste, the other to Grande Garbage. along a street in Rio Grande City in May 2016. Both companies are involved in a lawsuit filed in 2015. Rio Grande City has been denied a reprieve by the Texas Supreme Court with regard to the wrongful termination lawsuit filed against the city by a former trash contractor. The Supreme Court denied the city’s request to review a decision by the 4th Court of Appeals, which upheld an injunction against the city. The injunction was filed by BFI Allied Waste Services after the city terminated their contract in September 2015. The injunction prevented Grande Garbage, the company the city hired after it terminated Allied, or any other company from collecting garbage in the city. 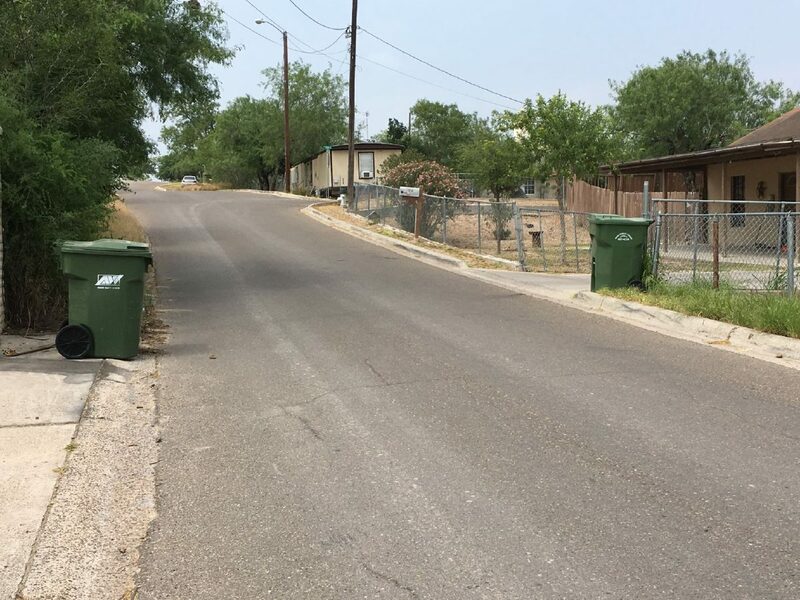 It also ordered the city to return Allied’s bins to residences and businesses to continue collecting trash while the lawsuit was being resolved in court. However, the city appealed the decision, staying the injunction order for the city but not for Grande Garbage. This means that while Grande or other companies could not collect garbage for the municipality, the city did not have to reinstate Allied as their contractor while the order was on appeal. That led the city to move trash collection in-house, creating its own sanitation department last year. The appellate court reaffirmed the order and with the Supreme Court’s decision to not take up the case, it appears the injunction will apply to the city as well. The city has 15 days to ask the Supreme Court to reconsider their decision, but Rio Grande City Mayor Joel Villarreal said they have not decided how to proceed. He and city commissioners will discuss it during a special commission meeting on Wednesday.